Last month the Australian film Jedda returned to the Cannes film festival, sixty years after it was first shown there in 1955. Jedda was the work of distinguished film-makers Charles and Elsa Chauvel; the first Australian feature film to be shot in colour, and the first to have Aboriginal actors in lead roles. In the film, Jedda is an Aboriginal girl who is brought up by a white couple on a cattle station after her mother dies. She is raised in European ways, and forbidden to learn about her own culture, kept separated from the other Aborigines on the station. When she gets older, Jedda finds herself strangely drawn to an Aboriginal man living in the bush, and following the traditional ways of his people. He abducts her, but when they come to his tribal lands, Jedda discovers that their relationship is forbidden by Aboriginal law. It’s a Romeo and Juliet scenario, and as with Shakespeare’s tale, it ends in tragedy for the star-crossed lovers. The role of Jedda was given to Rosalie Kunoth, an Aboriginal teenager from the Northern Territory, who was studying in Alice Springs. The Chauvels gave her the screen name Ngarla for the film, which they thought looked more “authentic”. Ngarla was the name of Rosalie’s mother’s people – the Ngarla are from the Pilbara region of Western Australia. This was distressing to Rosalie, as it was culturally inappropriate. The filming was challenging for Rosalie in many ways, and when she attended the premiere (sitting in the white section of a segregated cinema), was horrified by the film’s eroticism. Rosalie was an Anglican nun for ten years; she then left the order, married, and eventually returned to the Northern Territory. Now a respected Aboriginal elder, Rosalie Kunoth-Monks has spent her life working as an Indigenous activist, taking on leadership roles in her community. She has a daughter named Ngarla. Jedda was a groundbreaking film in Australian cinema history, especially significant as it gained international attention and respect at a time when Australian cinema was practically nonexistent. As well as its other “firsts”, it was the first Australian film to be shown at Cannes, and nominated for the Palme d’Or. Although it has dated in some ways, it remains a powerful and heartbreaking story. 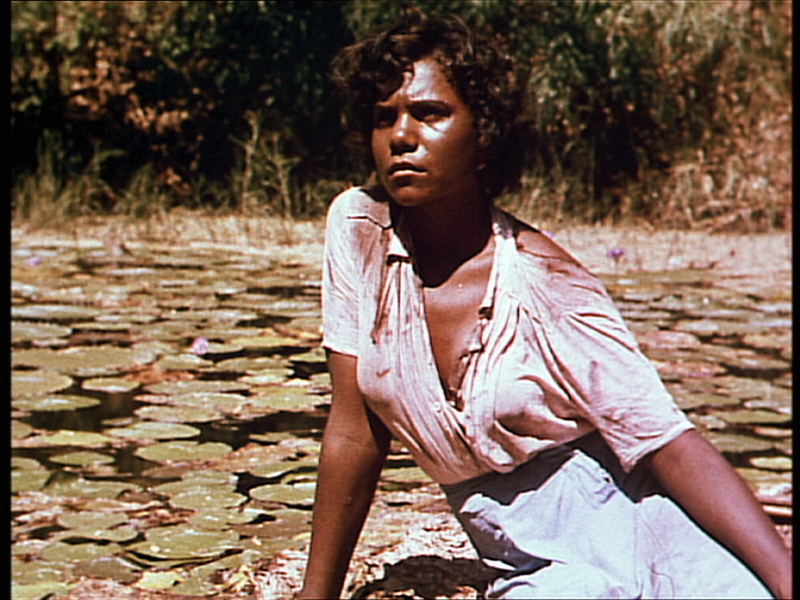 Jedda was created in opposition to the assimilationist policies of the 1950s, and the film is still relevant in light of the Stolen Generations. It helped inspire Indigenous film-maker Tracey Moffatt, whose Night Cries is a re-imagined “what might have been” sequel to Jedda. 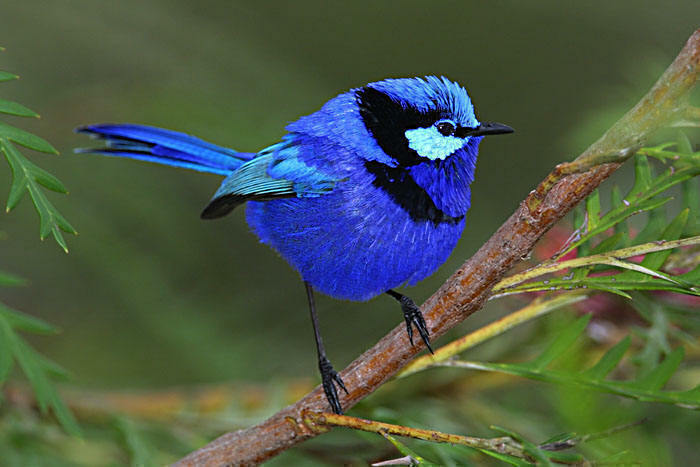 In the movie Jedda, Aboriginal servants name the baby Jedda when she arrives, because she “flies in” like a “jedda bird”. 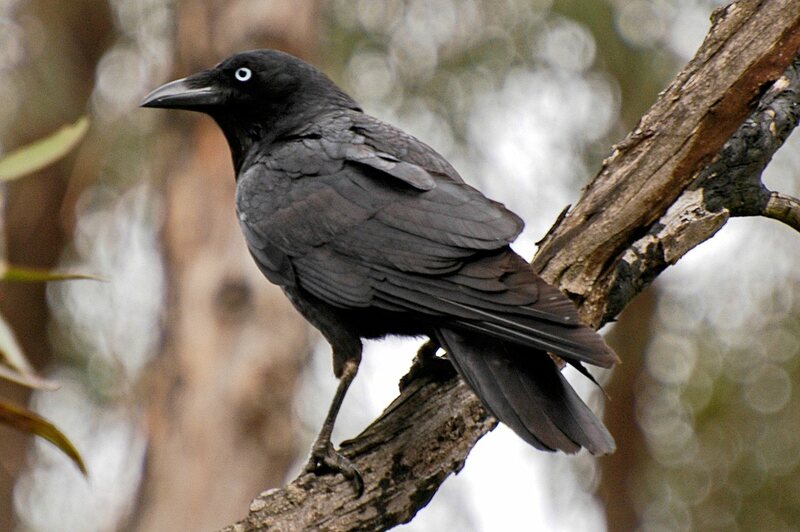 Jedda appears to be from the Noongar word djida or jida, meaning “bird” (more specifically a wren), even though Noongar people are from south-west Western Australia, and the film is set in the Northern Territory. 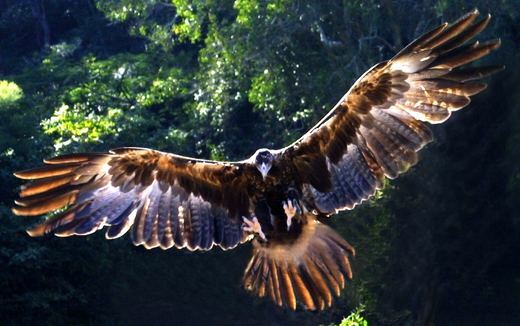 In the film, the identification with Jedda as a bird connects her to flight, to freedom and capture, and also to the spirit world. Australian records show the name Jedda in sporadic use as far back as the 19th century, including by Indigenous Australians. I can only speculate as to where their names might have come from; in the case of Europeans, maybe as a variant of the name Jetta. It is possible that Indigenous women born before the film was made took (or were given) the name Jedda after its release. In addition, I have seen Indigenous women named Djida and Jida. 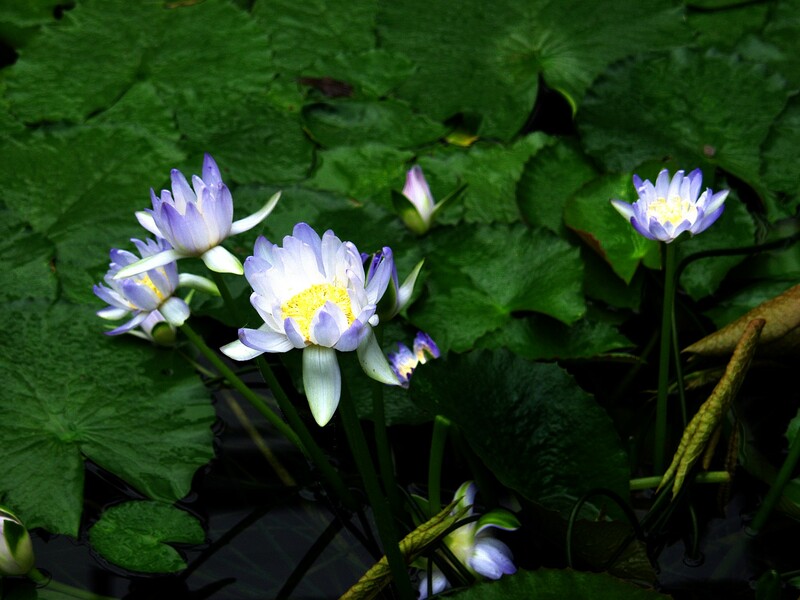 Jedda is also a plant name, as the jedda bush is native to the Cape York Peninsula region of far north Queensland. It is named after Jedda Creek, which is where it was first found, but I have not been able to discover the origin of the creek’s name – it may even have been named after the film. Jedda is in use as a personal name for both Indigenous and non-Indigenous Australians, and is a popular name for homes, businesses, and streets. It is often used as a name for animals too, and in particular I have encountered quite a few horses named Jedda. This may be why in the children’s novel, Hating Alison Ashley by Robin Klein, the heroine’s sister Jedda pretends she is a horse. I’ve seen the name given to a boy, and it does have a bit of a unisex vibe, as it shortens to Jed. Jedda is an Australian name made famous by a classic film, and appealing to both Indigenous and non-Indigenous parents. Although traditionally female, it could even be used for both sexes. It tends to be seen as slightly dated, yet it has never been common and is similar to Gemma, Jenna, Jed, and Jett. French form of the Latin name Rosalia, derived from rosa, meaning “rose”. Saint Rosalia was a medieval hermit who tradition says was a Norman noblewoman led by angels to live in a cave in Sicily. The saint became known in 1624, when she is supposed to have miraculously cured a plague. The saint’s name Rosalie was given to a young nun named Jeanne-Marie Rendu, and she became Blessed Sister Rosalie, who performed a lifetime of charity in the slums of 19th century Paris, and was mourned by the city when she died. The name Rosalie came into common use in the 18th century, and was especially used in France, Germany, and Central Europe. It only became common in the English-speaking world in the 19th century, possibly because of the French courtesan Rosalie Duthé, who became the mistress of French kings and aristocrats. As a young woman she moved to London to escape the French Revolution, and gained the immensely rich George Wyndham, 3rd Earl of Egremont, as a lover. Beautiful and golden-tressed, Rosalie was apparently not overburdened with brains, and it is theorised that she is the originator of the “dumb blonde” stereotype. The name Rosalie first joined the charts in the 1910s, debuting at #268. The name peaked in the 1940s at #141, probably because of the 1937 movie Rosalie, starring Eleanor Powell as a princess in disguise: Cole Porter’s song Rosalie is from the movie. Rosalie dropped off the charts in the early 2000s, but returned in 2009 at #519, the year after the first Twilight film was released, with Nikki Reed in the role of Rosalie Hale. Rosalie is described as being “the most beautiful person in the world”, which must have been a drawcard. The name Rosalie is apparently now in rare use again. In the US, Rosalie returned to the Top 1000 in 2009, under the influence of Twilight. It is now #310 and rising. 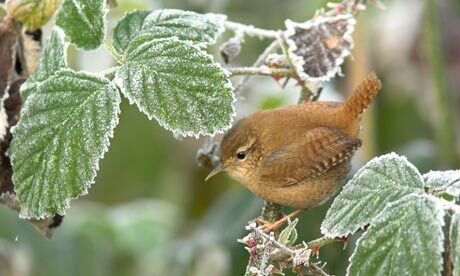 In the UK, the name Rosalie suddenly began rising steeply in 2009, and is now #394. Rosalie is also in the 300s in France, and is a popular name in The Netherlands, at #79. Rosalie is a pretty, charming, European-style name with that touch of fairy-tale magic which has seen it chosen in films for a student princess and a vampire beauty. As Rose- names are becoming increasingly fashionable, it is a bit surprising that Australia seems to to be lagging behind the international trends – although it might just be that our data-collection is lagging. I have seen quite a few birth notices for baby girls named Rosalee, Rosaleigh, Rosa-Lee and so on, and wonder if the spelling is an issue for some parents. Perhaps they worry that Rosalie will be said with the end rhyming with Lorelei, or just don’t like the idea of a name that ends in -lie. This makes me wonder if there are more Rosalies out there than meets the eye. A fantastic underused traditional choice, in any case. Jedda received an approval rating of 53%. 39% of people weren’t keen on the name Jedda, while 16% loved it. Rosalie received a very good approval rating of 76%, making it one of the highest-rated names of 2015. 39% of people loved the name Rosalie, and only 4% thought it was a terrible name. Ashby is a residential northern suburb, first developed in the late 1990s. It is named after the original landowner, Mr E.E. Ashby, who lived here before World War I. Ashby is a surname which means “farm among the ash trees” in a mixture of Old English and Old Norse; it is more common in Lincolnshire, Leicestershire and the East Midlands, which have a history of Scandinavian influence. Ashby has been used as a name for boys since the 17th century, and seems to have been especially popular amongst Puritan families. The town of Ashby-de-la-Zouch in Leicestershire was an important centre for Puritan preaching and education, which may be an inspiration for the name. Ashby isn’t rare in Australian records, although more common as a middle name, and has occasionally been given to girls. I saw this is a boy’s middle name in a birth notice, and thought this might make an appealing Ash- name for boys, which seems more obviously masculine than Ashley. Unfortunately, it could easily be confused with Ashley too. Bentley is 8 km south of the city, and is the location of the main campus of Curtin University. The area has been settled since 1830, and was developed in the post-war period with government housing, including homes for returned servicemen. Today Bentley is very varied: it has a light industrial area, but part of it is still used for grazing. The suburb is named after John Bentley, a veteran of the Crimean War who arrived in the Swan River Colony as a pensioner guard, and supervised convicts building what is now the Albany Highway. Bentley is a surname after the common English place name, meaning “bent-grass meadow”; bent-grass refers to rushes or reeds. Bentley has been used as a boy’s name since the 17th century, and has recently leaped up the charts in the United States to become a Top 100 name. Its jump in popularity is attributed to a baby named Bentley on reality show 16 and Pregnant. In Australia, Bentley is around the high 100s, which is still a lot more popular than it is in the UK. People often connect the name to the luxury car company, founded in 1919 by W.O. Bentley. Bertram is a new suburb of the City of Kwinana, in Perth’s south (for more information, see Leda in Perth Suburbs That Could Be Used As Girls Names). It is named after an assisted migrant from the 1920s, who came here under the group settlement scheme. Bertram is a Germanic name which means “bright raven”; it was introduced to Britain by the Normans. A famous Australian namesake is Sir Bertram Stevens, who was Premier of New South Wales in the years before the Second World War. Bertram has been quite a popular name in fiction, including the main character of Shakespeare’s All’s Well That Ends Well. Unfortunately, Bertram is not, on the face of it, a very sympathetic character, although he gets his regulation happy ending anyway. Another fictional Bertram is Bertie Wooster, from P.G. Wodehouse’s Jeeves books; a good-natured idler, this Bertram is not without charm, although perhaps not the most sturdy namesake. The short form Bertie would be very cute though. Carlisle is south of the CBD, and close enough to offer views of the city. Originally farmland, it was developed in the late 19th century, and is a fairly typical older suburb. The name Carlisle was chosen by the suburb’s ratepayers, who called it after the northern English city of Carlisle in Cumbria. Their logic was that just as Cumbrian Carlisle is famously near the border between England and Scotland, so was Australian Carlisle right on the border between the city of Perth and its suburbs. However, it is interesting to note that one of the landowners at the time was named Carlisle; it is possible his surname put the idea in the ratepayers’ minds. Carlisle is an ancient city which was one of the most heavily fortified towns of pre-Roman Briton: its name means “stronghold of the god Lugus”. Lugus was one of the most prominent of the Celtic gods, and the Romans identified him with Mercury, as he was known as a god of trade and skill. Carlisle has been used as a boy’s name since the 18th century, and was originally used most often in Cumbria. It has recently received some interest since the name was chosen for one of the more sympathetic vampires in the Twilight series. Falcon is one of the suburbs of Mandurah, a coastal city 45 km from Perth, within the metropolitan area. It is popular with tourists and retirees, making it the least affordable city in Australia. Falcon has a number of beaches, and is named after Falcon Bay, which is pronounced FAWL-kin, rather than FAL-kin – an earlier English pronunciation of the word. Falcon was a yacht whose crew won a silver medal at the 1956 Olympics in Melbourne, and many of Falcon’s streets are named for yachts. Falcon has been used as a boy’s name since medieval times – there is even an obscure St. Falcon, and Falcon was the middle name of Antarctic explorer Robert Scott. The name may be from the Latin Falco, meaning “falcon”, or derived from the Germanic name Fulco, meaning “people”. I did find a few Falcons born in Australia, and for some reason they were nearly all South Australian. In Australia, this name will remind people strongly of the car, the Ford Falcon, and perhaps also the slang term in rugby league for being accidentally hit in the head by the ball. I’m not sure whether the pronunciation will make any difference. Murdoch is in the south, and the home of Murdoch University. The university is named in honour of Sir Walter Murdoch, a former chancellor of the University of Western Australia, and its founding Professor of English. Sir Walter was a essayist famous for his wit and intelligence, and an active proponent of international peace and justice, political freedom, women’s rights, and affordable childcare. His great-nephew is the media mogul Rupert Murdoch. The surname Murdoch is the Anglicised form of two Gaelic personal names that became conflated with one another, and were written as Muireadhach. One name was Muiredach, meaning “mariner”, and the other was Murchad, meaning “sea warrior”. Muireadhach was a traditional name amongst the Earls of Monteith, and Murdoch has seen particular use in their seat of Perthshire. Murdoch is commonly found in Australian records amongst Scottish families, but although we have enthusiastically embraced Lachlan, Murdoch has been less successful. Fun fact: Murdoch was an early name crush for a particular Australian blogger, which makes you wonder if this could have been a contender without the prominent Murdoch family. Samson is a small suburb of Fremantle, a southern port city in the Perth metropolitan area. The suburb was only developed in the 1970s, as before this it had belonged to the army, and was a military camp during World War II. 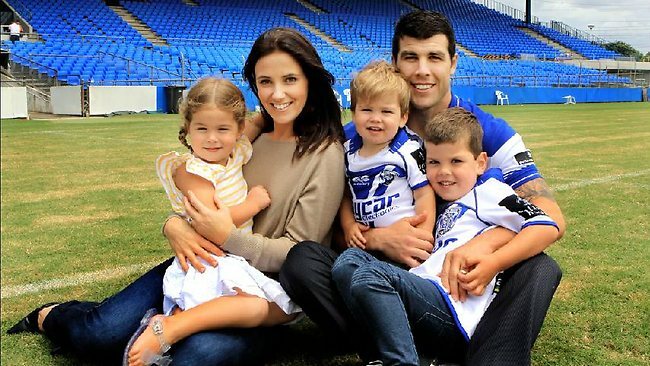 The suburb is named after the Samson family, who have been prominent in the Fremantle area for nearly two centuries. Sir Frederick Samson was mayor of Fremantle for twenty years, from the 1950s to the 1970s, and his home, Samson House, is one of Fremantle’s landmarks. 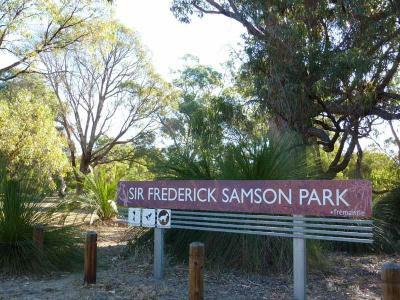 The suburb of Samson contains Sir Frederick Samson Park, Fremantle’s only bush reserve. Sir Frederick was the grandson of Lionel Samson, a wealthy Jewish merchant who settled in the Swan River Colony in 1829 and became one of its most successful pioneers. Popular for his charm and wit, respected for his integrity, the business he founded is still run by the Samson family, making it Western Australia’s oldest family business. Samson is one of the most famous characters in the Old Testament, a judge of the Israelites known for his superhuman strength. His name is from the Hebrew for “man of the sun”, leading some scholars to suspect he was originally a sun god, or demi-god. Samson was in use as an English name during the Middle Ages, and there is a Welsh St Samson, one of the Apostles of Brittany. This is a very masculine name which provides another way to get the popular short form Sam. Sawyers Valley is on the eastern fringe of Perth’s outer suburbs, and 40 km from the city. Its name came about because it was originally a saw mill and timber processing area. It’s now a semi-rural suburb in the bush-covered hills surrounding Perth. Sawyer is an occupational surname for someone who sawed wood for a living – and in the days when most things were made of wood, an important trade. Sawyer has been used as a personal name since the 17th century, mostly as a male name. In Australian records, I can only find it as a man’s first name, although not unusual as a female middle name. Sawyer doesn’t chart in Australia, but has been in the US Top since 1991; it had a huge jump up the charts after Steven Spielberg chose the name for his son in 1992. In America, it is a unisex name, but more common for boys. Although it is in rare use here, I have seen it a few times, on both sexes. Its most famous namesake is Tom Sawyer, the young scamp from the stories by Mark Twain, while it has also been alias for Josh Holloway’s character on Lost. Stirling is a residential suburb 10 km north of the city. The area has a multicultural history, because in the 1920s it attracted retired Chinese miners from the goldfields, returned servicemen from the First World War, and many Italian migrant. It became a successful market gardening region producing almost every vegetable possible, some for export. Even after development in the 1960s and ’70s, the suburb remains one of Perth’s most ethnically diverse, with a third of the population having Italian heritage, and many from Macedonian, Greek and Asian backgrounds. The suburb is named after James Stirling, who was the first governor of Western Australia, and who lobbied for a colony to be founded on the Swan River. Stirling is a Scottish Clan name which comes from the city of that name in central Scotland; it is known as the “Gateway to the Highlands”. The meaning of its name is not known, although folk etymology says that it is from the Gaelic for “place of battle”. Another theory is that it is British, and means “dwelling place of Melyn”; the name Melyn is said to mean “yellow-skinned, sallow-skinned”. Stirling has been used as a boy’s name since the 18th century, and was first used this way in Stirlingshire. I have seen this name quite a few times in birth notices, and it’s one with a great deal of dignity. 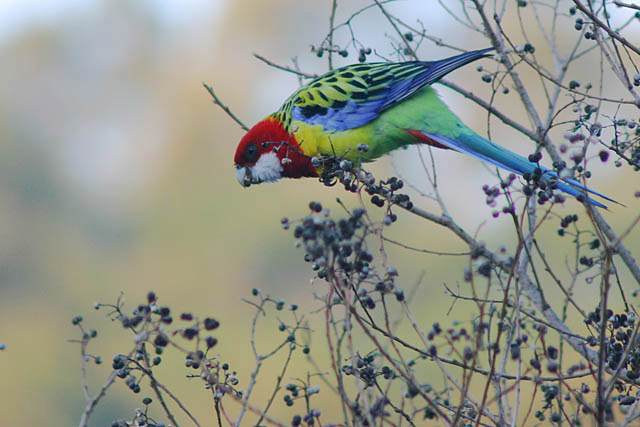 Warwick is in the northern suburbs of Perth, and a large section of it is still native bushland. It originally belonged to a railway company, and is named after Warwick Road, the major road which goes through it, and pre-dates the suburb’s development. It may have been inspired by Warwick Road in London. The name Warwick comes from the English city of Warwick in the Midlands; its name means “dwellings by the weir” in Old English, as the River Avon flows through it. It’s pronounced WOR-ik. The Earl of Warwick is one of the most prestigious titles in the British peerage, and Guy of Warwick a legendary English hero, which may help explain why Warwick has been used as a boy’s name since at least the 16th century. However, it seems to have originated in Devon, in the seat of a family named Warwick who belonged to the minor nobility. Warwick first charted in the 1910s at #203, joining the Top 100 in the 1940s, where it peaked at #80. It left the Top 100 in the 1960s, and hasn’t charted since the 1990s. Famous Australians with this name include the racing driver Warwick Brown, and flamboyant former AFL star, Warwick Capper. The public’s favourite names were Sawyer, Samson and Ashby, and their least favourite were Stirling, Warwick and Murdoch.